An enraged Texas dad, who found his five-year-old daughter being raped from behind a barn, rushed there and pummeled the attacker to death with his bare fists. According to prosecutors, the Texan will not be charged for the slaying. The 23-year-old distraught father, whose name has been withheld to protect the child’s identity, told the police that he was told his daughter was being molested on Saturday, June 09 by a guy named Jesus Mora Flores in a rural segment of south Texas. Due deliberations, a grand jury decided not to indict the man. The jury opined that he was authorized in this specific instance to use lethal force to protect his infant daughter. 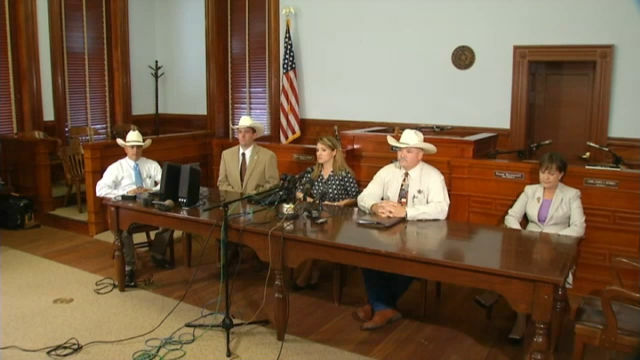 At a news conference held on Tuesday, the Lavaca County district attorney Heather McMinn and Sheriff Mica Harmon announced the decision that the Texas dad would not face charges. Describing the incident, the district attorney informed that a witness, who saw Flores kidnapping the girl to a remote location, raised a hue and cry. According to the investigators, the child’s dad on hearing his daughter’s screams rushed to the scene of the crime and found her being attacked. Thereupon, he “inflicted several blows to the man’s head and neck area”, added investigators. Also at the news conference, a recording of the father’s call to 911 was played in which after ensuring his daughter was safe, he begs a dispatcher to locate his ranch quickly and take the dying Flores in an ambulance. Meanwhile, emergency crews who responded to the Texas dad’s 911 call found Flores’ pants and underwear pulled down on his limp battered body. Later, a medical examination of the child at a nearby hospital confirmed the father’s account that she had been sexually assaulted. The father was not arrested, but was being investigated for homicide.